There’s no doubt that Assassin’s Creed has been one of the biggest games of the year, with both fans and the gaming press hailing Ubisoft’s latest game as a return to form for the series. And since the game’s release last October the French company has continued to support Origins with a series of patches which have not only fixed issues with the game but also added new features. But the biggest of them all is yet to arrive, as the game’s December update promises to add quite a bit to Ubisoft’s latest blockbuster game as the company explains on its blog. For starters, the patch will add a new difficulty level to the game (Nightmare), which as you can imagine will make playing through Origins quite a bit harder. According to Ubisoft’s blog, the new Nightmare difficulty mode will make enemies more dangerous in combat, meaning that resorting to stealth will likely be of paramount importance when playing at this difficulty level. There’s also a new interesting “level scaling” feature, which according to Ubisoft was added by popular demand. This makes lower level enemies your equals in combat, adding quite a bit of challenge to the game. 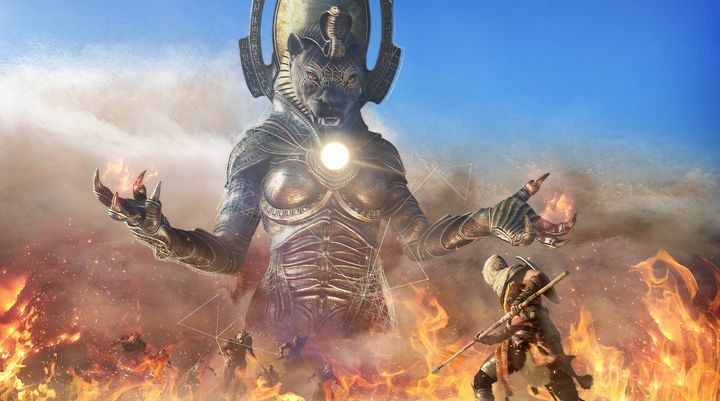 Those who have been enjoying the game’s “Trials of the Gods” will be happy to know that the third and final god (Sekhmet) will be available this December, giving you a chance to prove your worth in combat against ancient Egypt’s warrior goddess. Also, those who missed the previous two Trials of the Gods featuring Anubis and Sobek will be glad to hear that Ubisoft is bringing these two back in December, giving you a chance to fight both gods again. There’s also a surprise in store for fans of the Final Fantasy games, as an image published on Ubisoft’s website (see above) suggests you will soon get a chance to ride a Chocobo in the game. These are the famous, chicken-like mounts that have been appearing in the Final Fantasy games for yonks now, and will soon feature in Assassin’s Creed thanks to Ubisoft’s partnership with Japanese publisher Square Enix. Additionally, those willing to spend real cash to get better gear in the game can take a look at the in-game store, which will be featuring the new “Gladiator Items Pack” comprising items like a fancy spear named “Neptune’s Grasp” and the “Spaniard’s Armour”, amongst others. There’s also the “Wacky Items Pack”, which includes a new mount for you to ride in the game, amongst other things. All these additions to the game were announced before Origins release last October, and aside from the free content and paid in-game store items, there are also two big expansions coming to the game next year, which form part of Origins’ season pass content. 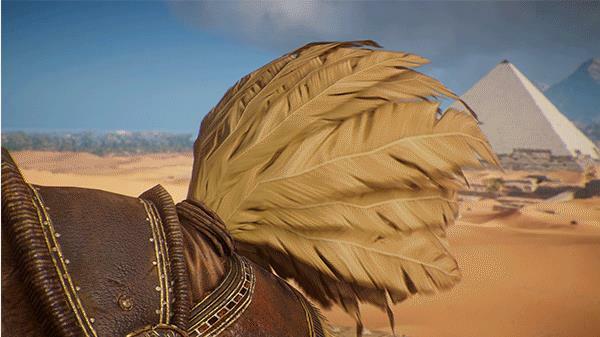 It remains to be seen, however, whether this extra content will be up to scratch, although it would definitely be a great thing for fans of the series if all the stuff that’s coming next to Assassin’s Creed Origins ends up being as engaging and fun to play as what’s featured in the main game when it’s released later this month.